Year One and Year Two have been finding out about the History of Winchester. They began by looking at when the Historic city first began, why it was called ‘Venta Belgarum’ and how the city and buildings have changed over time. They heard about some Winchester myths and legends and took part in workshops with ‘Perform’ Drama Company. 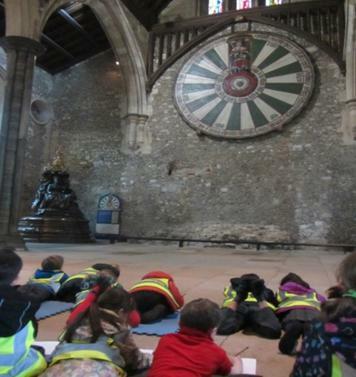 Last week Year One and Year Two visited the Round Table at the Great Hall. They were very lucky to have a guided tour and completed their own observational drawings of the round table. On their return to school the children created their own Round Table and used this to write their own Knights adventure before sharing their fantastic stories with other classes in the school.